Welcome to Mister C’s Handy Key to Changing Your Mood With the Right Cocktail, by Color! We hope it goes a long way towards enhancing your cocktail experience! Orange: Friendly, Energetic, Ambitious, Sense of Welcoming. Pink: Youthful, Feminine, Sensitive & Soft. A Happy Color! Purple: Associated with Royalty. A Contemporary Color. Feelings of Romance, Luxury & Creativity. Red: Raises Blood Pressure, Stimulates Appetite & Conversation. Associated with Excitement, Passion, Action & Impulse. White: Purity, Cleanliness & Simplicity. Yellow: Highly Emotional Color, Friendly, Positive & Happy. Blue: Relaxing, Lowers Blood Pressure, Calming, a Sense of Security, Suppresses Appetite. Brown: Organic, Earthy, Dependable & Friendly, Makes you Feel Cozy. Black: Powerful, Mysterious, Elegance & Edginess. 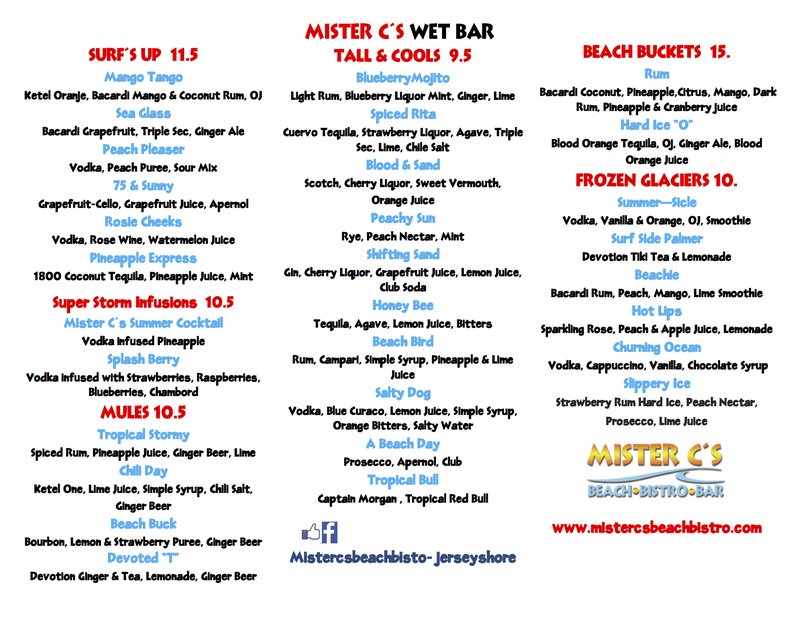 Keep these in mind as you try each Summer ’17 Mister C’s Wet Bar Cocktail! !